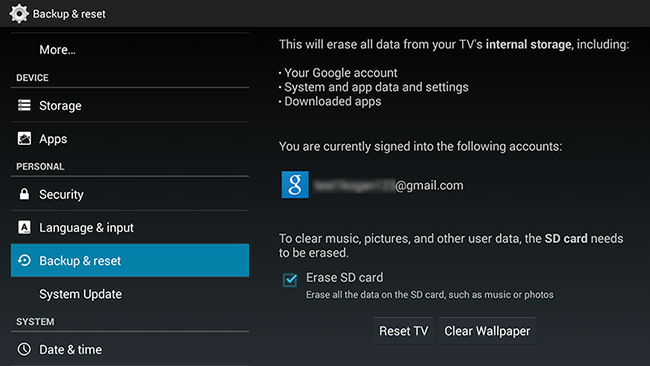 To perform a factory reset of your Smart TV running Android 4.4 KitKat, please follow the steps below. A factory reset resolves most software-related or operational issues, if you're unable to carry this out you can contact our Support team through the link at the bottom. Please be aware that a factory reset will erase your current Google account, any downloaded apps and your current system settings. 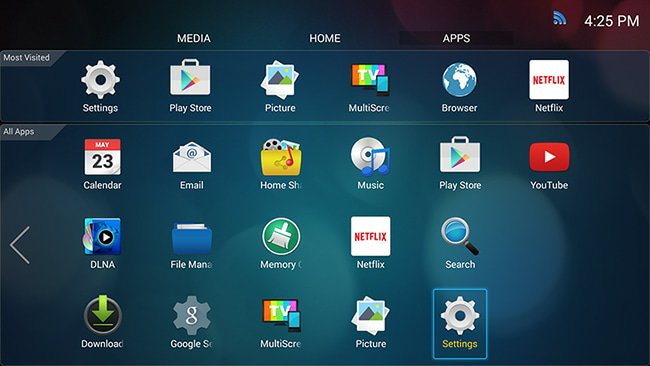 Use the navigational arrows on the remote to select the 'Apps' tab in the Smart TV view. Scroll down to 'Backup & reset' and press the right arrow button on the remote once. Scroll down to 'Factory data reset', then press 'OK' on the remote control. Once selected you will receive a message informing you about the reset. 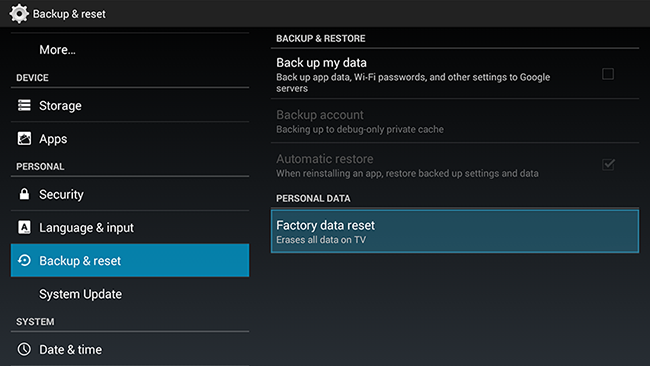 Ensure that you remove any SD cards inside the unit before completing the factory reset. Scroll to the 'Reset TV' button and select it. 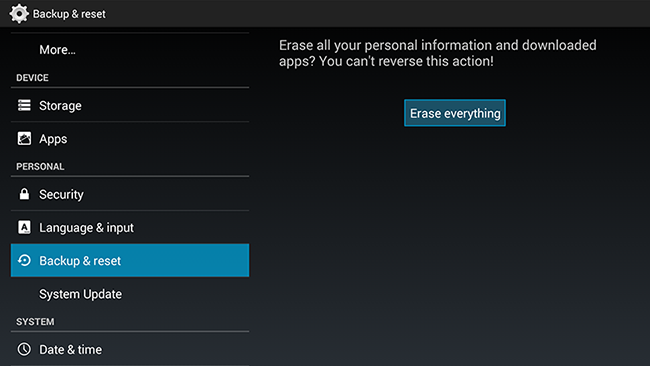 You will receive a final warning message, select 'Erase everything' to begin the reset. Please note that resetting the TV may take up to 10 - 15 minutes to complete. If you continue to experience any issues, please feel free to contact our Support Team for further assistance.